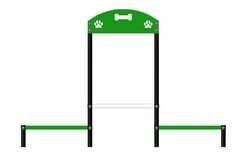 Standard Colors: Red or Green, custom colors available for additional charge. Red Rover, Red Rover, send Fido right over! 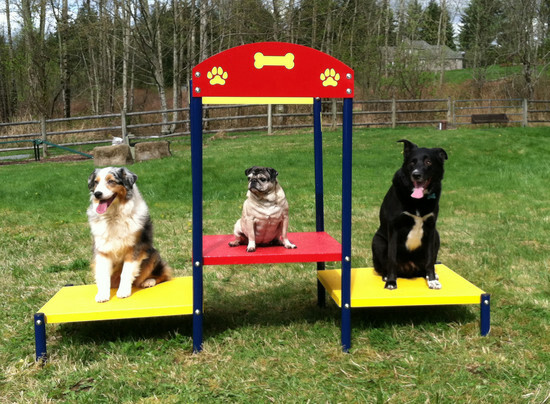 Our exclusive Step Up Table features two small platforms and a taller, center 16" platform. Outer platforms are only 8' high so this component is suitable for dogs of all sizes. 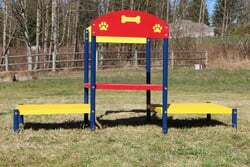 This is a great introduction to larger, more challenging components such as the A-Frame & Dog Walk Ramp. 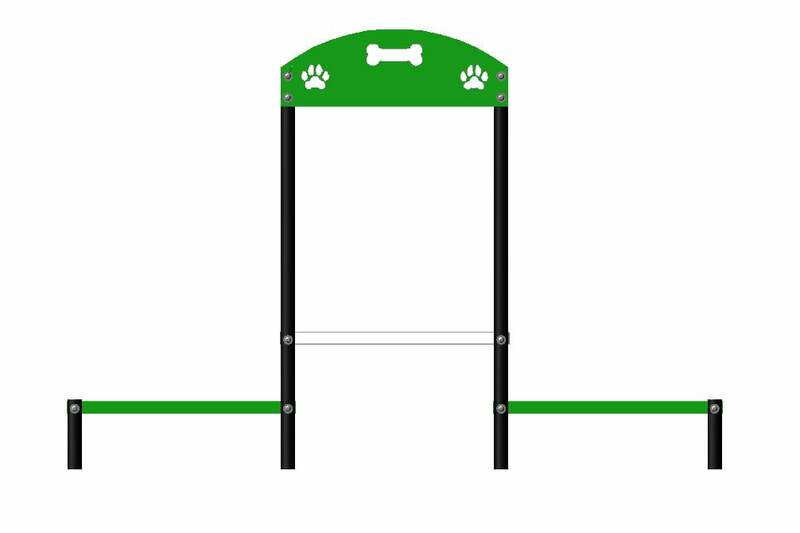 Attractive bridge-style arch with laser cut paw and bone details makes this easy to spot and lets your two and four-legged park users know they're about to have some fun! 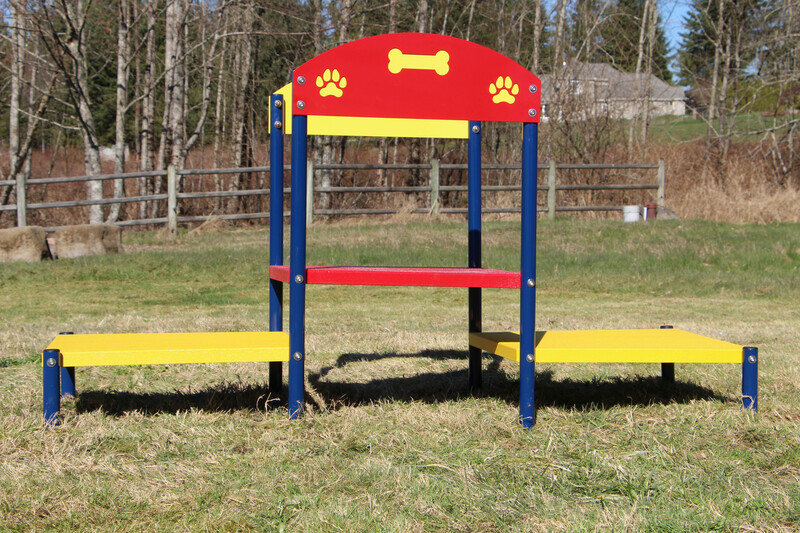 Our Step Up Table is constructed with rust-resistant, powder coated aluminum pipes and heavy gauge aluminum planks that are 38″ wide. Planks are 85% recycled aluminum and posts have 80% recycled content. 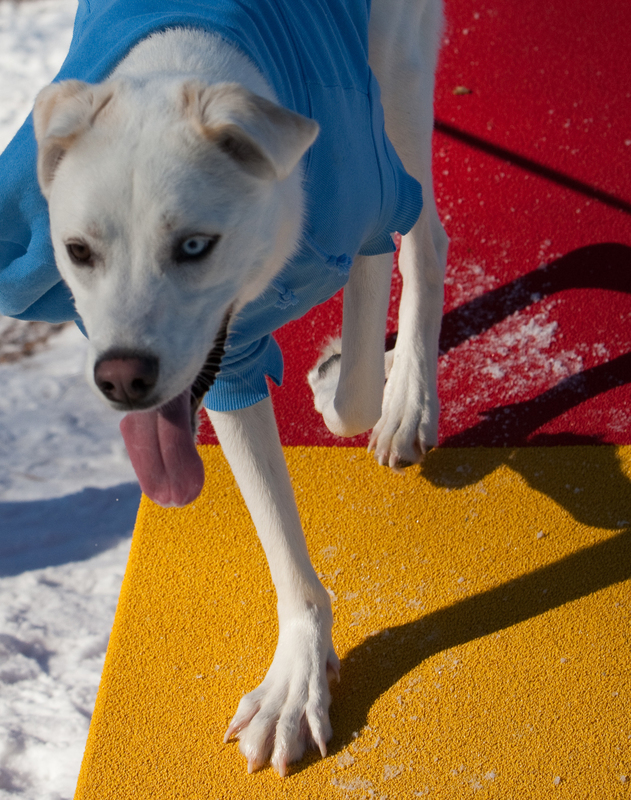 All walking surfaces are coated with PawsGrip, our proprietary highly textured coating designed for maximum slip resistance. Optional surface mount plates available for installation on concrete, roof tops, etc.